The company identified an unspecified number of positions that were not financially sustainable as it integrated the former Medicity. The affected employees will be invited to apply for the company’s 40 open positions, where they will automatically be considered finalists. Those who aren’t offered or don’t accept a new position will receive a minimum severance of three months and the company’s help in finding a new job. The company increased headcount from 500 to over 700 in 2018 and expects to add 100 more in 2019. From Vaporware? : “Re: DoD. I was wrong when I accused Cerner of not being able to share data.” A Bloomberg Law article – of which I can read only the first couple of paragraphs that aren’t paywalled – says that hackers found that the MHS Genesis Cerner system was “not survivable” when military hackers tested its cybersecurity. That sounds like the report from October 2018, but perhaps the formation of a new DoD cybersecurity working group is the new development. From Robert Lafsky, MD: “Re: NEJM article. I know you’re not a sports guy, but I’m sending this because of its privacy implications and potential qualification as a Weird News Andy item if you read to the end.” A NEJM case study recaps the abdominal issues of an unnamed 18-year-old professional athlete. It wouldn’t take much to identify him from the article – he plays professional sports in the Boston area; he weighs just 72 kg (so that rules out football and probably basketball); he’s just 18, making baseball a strong possibility, probably on a farm team at that age. I scanned past rosters and found one pitcher from the Lowell, MA minor league affiliate that was the only match, although perhaps the patient has been traded in / out since the medical incident whose date was not indicated. 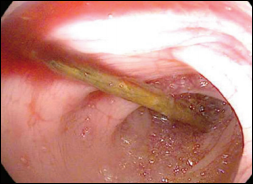 The WNA connection is that the patient’s problems and hospital encounters were caused by a toothpick he had swallowed. I’ve poked my nose (and nearly my eye) with a restaurant sandwich’s well-hidden toothpick more than once, so I’m all for stopping the practice of overstuffing sandwiches to the point that inedible hardware is required to hold them together. RTI Institute becomes a minority equity investor in analytics and population health management vendor SPH Analytics. The nonprofit healthcare research organization plans to help SPH broaden the scope of its research and consulting services. 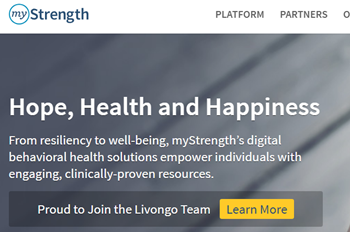 Livongo acquires MyStrength, adding the startup’s app-based mental health therapy software to its digital diabetes management program. Iatric Systems acquires Haystack Informatics, a patient privacy monitoring startup spun out of Children’s Hospital of Philadelphia in 2014. Terms were not disclosed, though the deal went through Iatric parent company Harris Healthcare. I interviewed co-founder Bimal Desai, MD, MBI in August 2017. CNBC reports that GE Healthcare will sell off half of its healthcare business in an effort to pay down debt, a move that, combined with its other planned business dealings, could generate $50 billion. GE plans to take its healthcare unit public later this year. 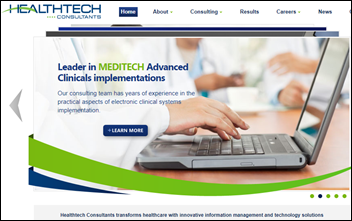 Meditech files its annual report: revenue up 2 percent, EPS $1.51 vs. $2.08. Revenue rose to $488 million, the highest since 2014’s $517 million. 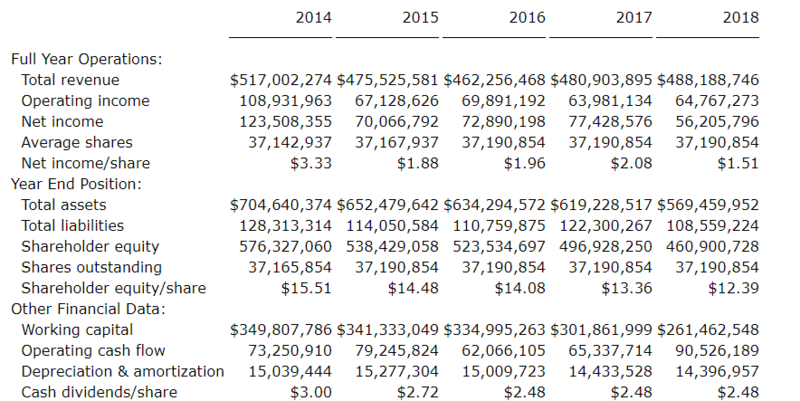 Last year’s net income of $56 million is by far the lowest since 2014 and less than half of the $124 million that was booked in 2014 specifically. Product revenue has jumped 30 percent in the past two years. The report indicates that the company commendably pays its executives extraordinarily modestly, gives them tiny bonuses, and does not offer them stock options. McKesson announces Q3 results: revenue up 5 percent, adjusted EPS $3.40 vs. $3.41, beating Wall Street expectations for both. That excludes the huge boost in last year’s earnings from the White House’s generous corporate tax cuts. Paul Grundy, MD (HealthTeamWorks) joins Innovaccer as chief transformation officer. Solutionreach hires Nagi Prabhu (Icertis) as chief product officer. Provider management and credentialing company Symplr promotes Amie Teske to VP/GM of provider management operations and Randy Bahr to VP of product development. 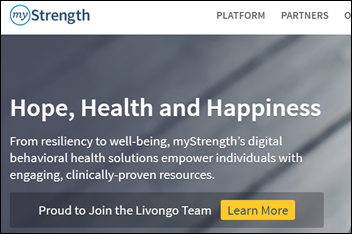 Livongo hires Anmol Madan (Ginger.io) as chief data officer and Julia Hoffman (VA) as VP of behavioral health strategy. HealthStream names Scott McQuigg (GoNoodle) as SVP of HStream Solutions. Former National Coordinator Karen DeSalvo, MD, MPH joins venture platform LRVHealth as executive advisor. 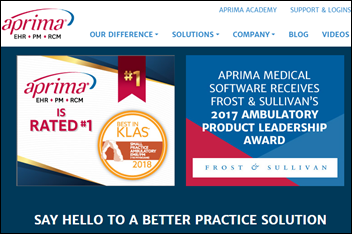 Total Life Healthcare, part of the St. Bernards Healthcare system in Arkansas, selects medication risk mitigation, e-prescribing, and EHR software from Tabula Rasa Healthcare. The VA will implement UpToDate Advanced decision-making software from Wolters Kluwer Health. Northwell Health (NY) will integrate Jvion’s predictive analytics with its Allscripts EHR to reduce readmissions at 15 hospitals. Sanitas will offer CirrusMD’s white-label chatbot app to patients at its medical centers in Florida. Meditech adds Nuance’s Dragon Medical Virtual Assistant to its Expanse EHR and enhances its population health capabilities using data and analytical insights from Arcadia. New York HIEs HealthlinkNY and HealtheConnections will merge to create the state’s largest HIE, covering 26 counties. The VA will scrap its sucessful MASS pilot of Epic scheduling and instead use Cerner at all of its facilities. 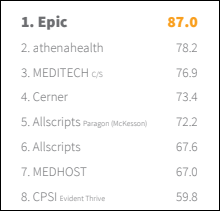 Epic went live on time and on budget after nine months in Columbus, OH and delivered significant improvement in patient access metrics. Epic also offers FHIR-powered Book Anywhere, which allows VA schedulers to book appointments at any site whether they use Epic or not. Document Storage Systems will integrate the MyCare iMedicware EHR from Eye Care Leaders with VistA at all VA eye care clinics. VA Secretary Robert Wilkie downplays the notion that the agency is moving towards privatization in his remarks announcing proposed standards that will allow veterans to seek care outside of the VA system. As vets seek care further afield, the pressure (and media scrutiny) for interoperability between VA facilities and outside providers will likely mount. The HIS team had to manually re-enter data for hundreds of patients during the digital freeze. Emergency management training that was conducted a few days prior helped hospital leaders keep staff calm and focused so that clinical care was not affected. The hospital used runners to deliver lab results. In Australia, Queensland’s Department of Health puts a stop to the procurement process for a new patient administration system after discovering that EHealth Queensland CEO Richard Ashby had an inappropriate relationship with a staff member who was involved with the $210 million project. Ashby, who has been under investigation by the state’s Crime and Corruption Commission since last year, has resigned. As CEO, he was also the front man for the state’s struggling ieMR EHR roll out. DXC and Cerner had been contenders for the new PAS system, which some department employees said was too short of a list, and Cerner got the contract in 2015. Interesting: a witness in the federal racketeering case brought against Insys Therapeutics says the drug company hired as a regional sales director a former stripper, who the witness observed at a company-sponsored dinner giving a lap dance to a pill mill doctor (to whom the company also paid consulting fees) in hopes of increasing his inappropriate prescribing of its addictive fentanyl spray. Sansoro Health names Micky Tripathi (Massachusetts eHealth Collaborative) to its board. CTG appoints Romulo Juarez (Slalom Consulting) managing director, delivery, of its health solutions and life sciences business in North America. Surescripts joins the Elite Partners Program of the National Council for Prescription Drug Programs. QuadraMed partners with LexisNexis Risk Solutions to improve patient matching within its Enterprise Patient-Matching Index.